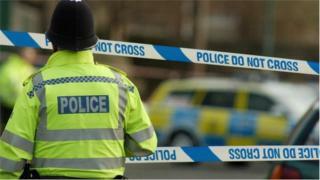 The body of a man, believed to be in his 20s, has been found in a city centre doorway. The man was discovered in the entrance to Claire's Accessories in High Street, Exeter just before 07:00 BST, police said. The area was cordoned off while emergency services attended the scene on Thursday morning. The death is not being treated as suspicious but inquiries are ongoing to find and inform the man's next of kin.